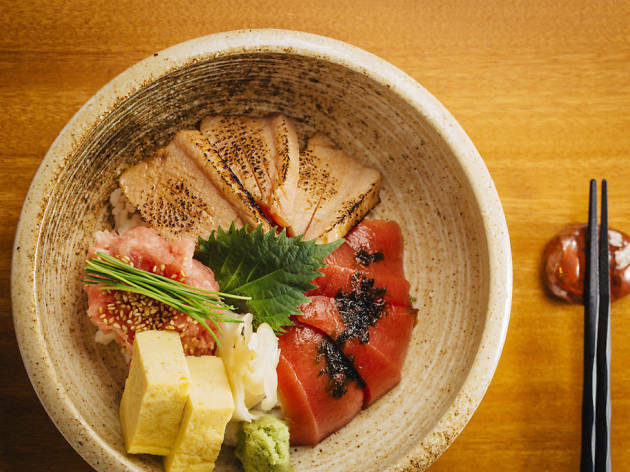 This 24 seat Japanese joint serves omakase (aka the chef's choice) for a bargain $900 a head. 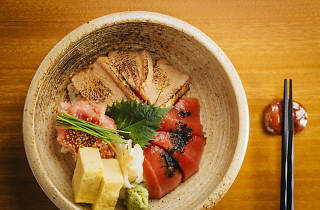 Specialities including cucumber crab roll stuffed with queen crab and sea urchin, thin-sliced squid noodles topped with myoga and ohba edible flowers, yellow tail aburi sashimi dressed with Kyoto onion and many more. Sushi Ono also serves its own exclusive sake - a private label from Kagoshima, Japan.